Music thing gets the scoop on a particularly interesting eBay find. 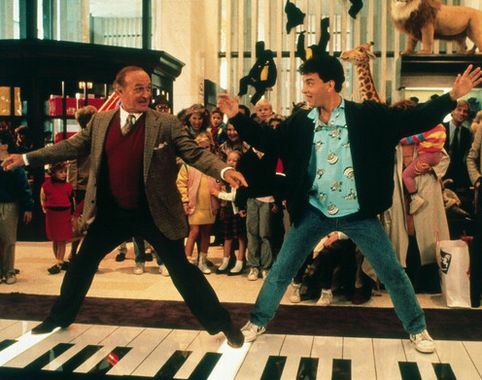 Remember the giant piano keyboard from the 1988 Tom Hanks movie Big? 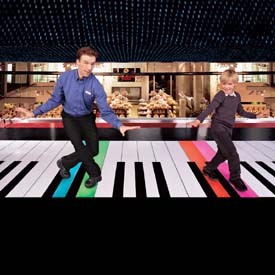 Now that the movie has been made into a musical, it’s given blokes in the UK an excuse to build their own giant keyboard. Despite the Music thing mention, the eBay auction still lacks a bid. Come on, GBP 2,000? That’s a bargain. 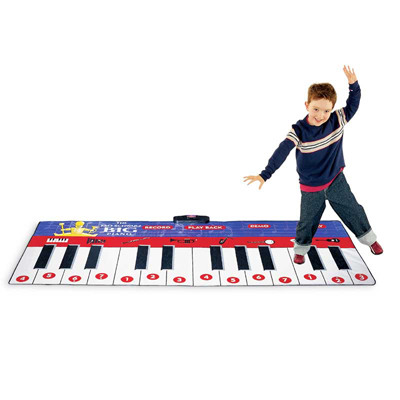 Think per inch of this keyboard — this ain’t your upright Yamaha, here. Yep, looks like it’s worth about $20. Fancy making your own? A how-to on making your own arcade dance pad could be a good start.